In July 2016, a group of academics and Middle East policy wonks gathered for a conference on the Turkish island of Büyükada, about 45-minute ferry ride from Istanbul. Now, Turkey says they were actually there plotting to overthrow the Turkish government. One of the men at that meeting, Turkish prosecutors claim, was a 20-year CIA veteran Graham Fuller, with a history of operating in Turkey. But the organizer of the forum, a professor at Pennsylvania’s Lehigh University named Henri Barkey, who’s also the subject of a Turkish arrest warrant, said the whole thing is “a massive conspiracy theory” that’s getting more and more outlandish by the day. Barkey said it’s total coincidence that the Büyükada forum, which focused on the Iranian nuclear deal, took place on the same weekend that a group of Turkish army officers launched an attempt to topple President Recep Tayyip Erdoğan that left over 300 dead. 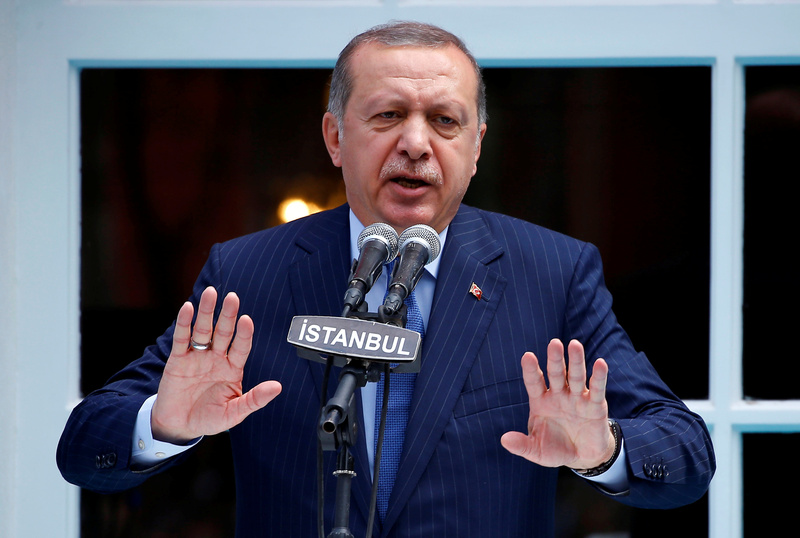 But now, those at the meeting are being swept up in Erdogan’s seemingly endless backlash, a purge in which some 50,000 people have been arrested, including human rights workers like the local head of Amnesty International. Turkey has said the coup was led by a renegade cleric based in Pennsylvania named Fethullah Gülen. The controversial cleric denies being involved, and his extradition, which the U.S. has refused to grant, has become a sore spot in U.S.-Turkish relations. Turkey was so desperate to get Gülen, it allegedly tried to convince Trump’s disgraced former National Security Advisor Michael Flynn to help kidnap the cleric and send him back to Turkey. Barkey says Fuller wasn’t even at the conference, anyway. Fuller did once work as a CIA officer in Turkey, and eventually rose to the rank of vice chairman of the National Intelligence Council. He then retired from the CIA in 1988, and went on to self-publish a bunch of books on the Middle East, including a spy novel called Breaking Faith. Fuller did not immediately return a request for comment from VICE News. Burka-clad gunmen from the Pakistani Taliban attacked a college in Peshawar Friday, killing at least 13 people and injuring dozens of others, officials said. Three gunmen carried out the attack on the Peshawar Agriculture Training Institute, which was closed for the Eid-e-Milad holiday. The attackers were all killed by police and army forces within two hours, military officials said. 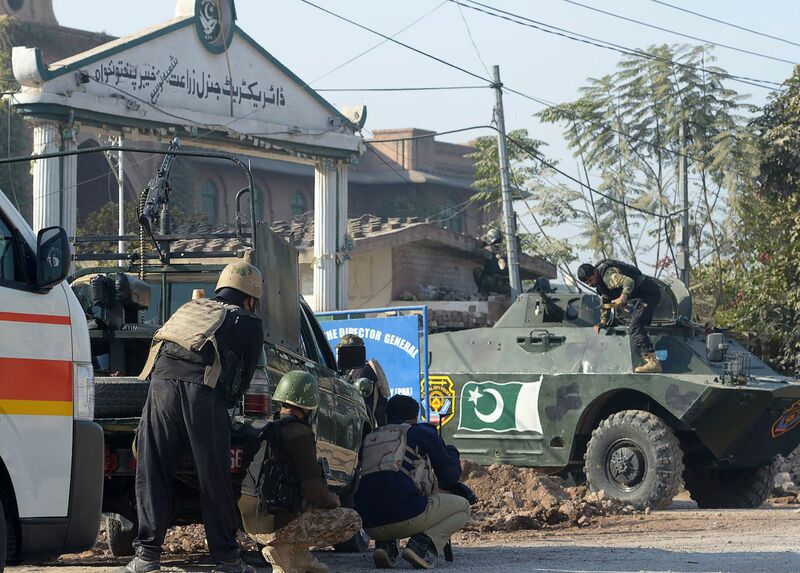 Tehreek-e-Taliban Pakistan claimed responsibility for the attack, but said they were targeting a safe house of the military’s powerful Inter-Services Intelligence agency. Several people were injured jumping from buildings in an attempt to flee, Al Jazeera reported. One wounded student, Ahteshan ul-Haq, told Reuters there are usually 400 students in the university hostel, but many had gone home for the holiday, leaving only about 120 there Friday. “We were sleeping when we heard gunshots. I got up and within seconds everybody was running and shouting ‘the Taliban have attacked’,” he said. Peshawar, close to the border with Afghanistan, has been the scene of some of the worst attacks by the Pakistani Taliban, which is fighting an insurgency to impose sharia law across the region. In 2014, the Pakistani Taliban stormed an army-run school, killing 140 people in one of the worst massacres in the country’s modern history. The world’s largest lithium-ion battery was switched on in Australia Thursday — just 60 days after it was promised by Elon Musk. 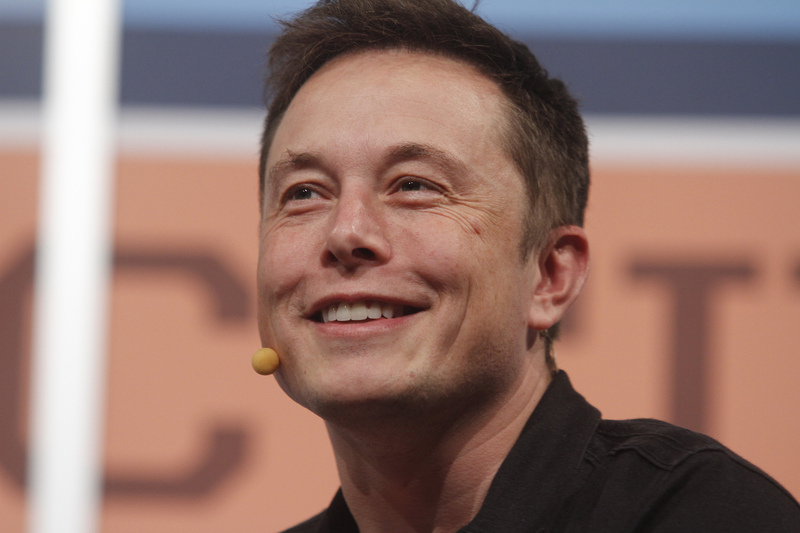 Tesla’s CEO bet last March he could solve South Australia’s energy crisis and built the world’s largest battery in the space of just 100 days — or he would give it to them for free. The battery came online to coincide with the start of Australia’s summer when energy usage spikes due to air conditioning. For the past 18 months, 1.7 million residents of the region have experienced blackouts, including a high-profile statewide outage last September. The battery is three-times more powerful than its closest competitor, and will be powered by a nearby wind-farm run by French energy company Neoen. It has capacity to power up to 30,000 homes for an hour if necessary, but it will be mostly used as backup. Musk’s glory may be short lived. Hyundai Electric is currently building a battery in South Korea 50 percent larger than Tesla’s, which is due to come online in early 2018. 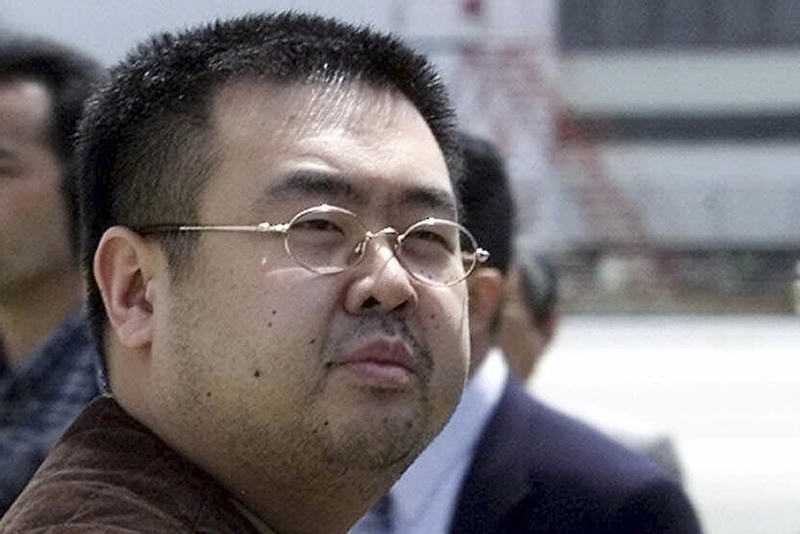 The murdered half-brother of Kim Jong Un was carrying the antidote to the VX nerve agent used to kill him, a Malaysian court heard Friday. Kim Jong Nam, who was assassinated in Kuala Lumpur airport on Feb. 13, had 12 doses of atropine on his person at the time of the attack, toxicologist Dr. K. Sharmilah told the court. Kim died when two women allegedly smeared chemicals on his face which combined to create VX, a highly toxic substance designated a weapon of mass destruction by the United Nations. Atropine offers protection from VX poisoning and insecticides. “If you know someone is coming after you with a nerve agent, atropine is a key drug you would want to carry,” Nial Wheate, a senior lecturer in pharmaceutics at the University of Sydney, told CNN. Kim was living in exile in Macau at the time of the attack. He fled North Korea in 2003 after public criticism of his family’s regime. At one point he was in line to succeed his father, Kim Jong Il, but his half-brother issued a standing order for his execution after assuming power. Indonesian Siti Aisyah and Doan Thi Huong from Vietnam are charged with conspiring with four North Korean fugitives in the killing. The defendants say they were duped into the murder, claiming they thought they were taking part in a reality TV show. Pyongyang has denied accusations by the U.S. and South Korean officials that it masterminded the attack. 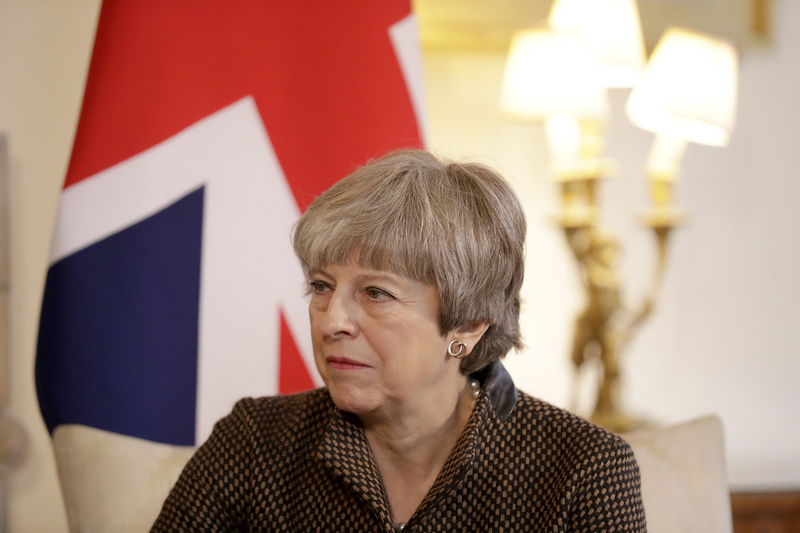 May is desperate to keep Trump onside knowing the president’s whims could hold the key for a new anglo-American trade deal after Britain exits the European Union. Yet she had little choice but to condemn Trump Wednesday after he retweeted three anti-Muslim videos posted by deputy leader of the far-right group Britain First. He initially tweeted the message to the wrong account, one with just six followers. This was later deleted and a fresh Twitter bomb was correctly dispatched to Downing Street. May, whose leadership has been under pressure since a disastrous general election earlier this year, has grounded the UK’s post-Brexit economic success on a strong relationship with Washington. So important is the kinship that she rushed Stateside in January to claim the coup of becoming the first foreign leader received at the Trump White House. But now the relationship appears to have turned toxic, with calls from politicians on all sides of Westminster to cancel Trump’s forthcoming visit to Britain, though Downing Street said Wednesday the invitation still stood. During a parliamentary debate Thursday about the videos, Home Secretary Amber Rudd endorsed the suggestion that Trump should give up tweeting entirely. Saudi Arabia’s Crown Prince Mohammed Bin Salman is in the middle of an unprecedented power grab that has resulted in a massive purge of his country’s ruling elite, throwing princes, government ministers and high-flying businessmen into an ultra-fancy makeshift prison inside Riyadh’s Ritz-Carlton hotel. Now we know the price of getting out: $1 billion. That’s the price one prince reportedly was willing to pay for his freedom. The jailed royal, Prince Miteb bin Abdullah, son of the late King Abdullah, was turned loose after agreeing to fork over the equivalent of the entire budget for all four upcoming Avatar sequels to settle corruption allegations against him, an unnamed Saudi official told news agencies Wednesday. The former head of the elite National Guard, Prince Miteb had once been seen as a top contender for the throne himself. One billion dollars might sound like a lot of money. But here’s the crazy thing: Other Saudi royalty may pay even more. 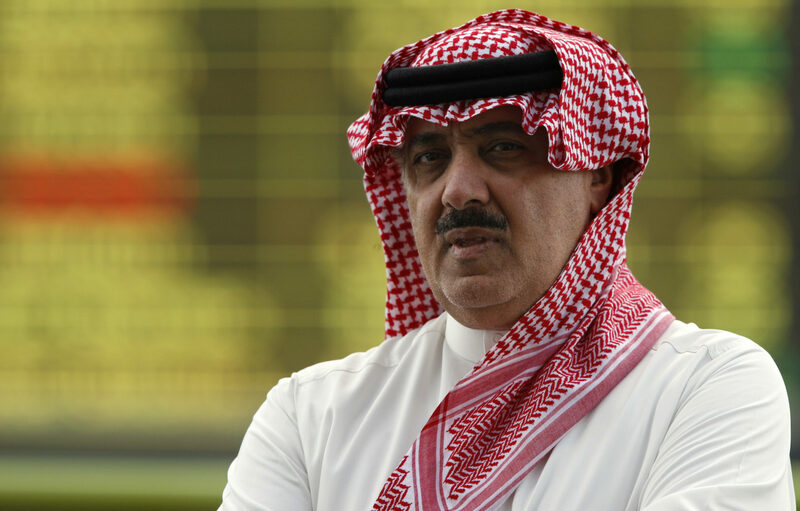 Earlier reports indicate Saudi prosecutors are negotiating with the Ritz lockups for as much as 70 percent of all their wealth. And these guys have lots and lots and lots of wealth. The total haul for the Saudi state coffers could be as much as $300 billion, according to the Financial Times. Prince Miteb was reportedly accused of hiring nonexistent employees and awarding contracts to his own pet companies, including one deal for walkie-talkies and bulletproof military gear. He reportedly admitted guilt as part of his release. Of course, Saudi Arabia isn’t the only country that’s slapped rich inmates with multi-billion-dollar liabilities. In 2004, a judge in Texas decided to make a point by setting accused murderer and real estate mogul Robert Durst’s bail at $3 billion. An appeals court later reduced it to less than half a million. A Bosnian Croat war criminal died after drinking from a vial of what he called “poison” after his appeal was denied at a United Nations tribunal in The Hague Wednesday. 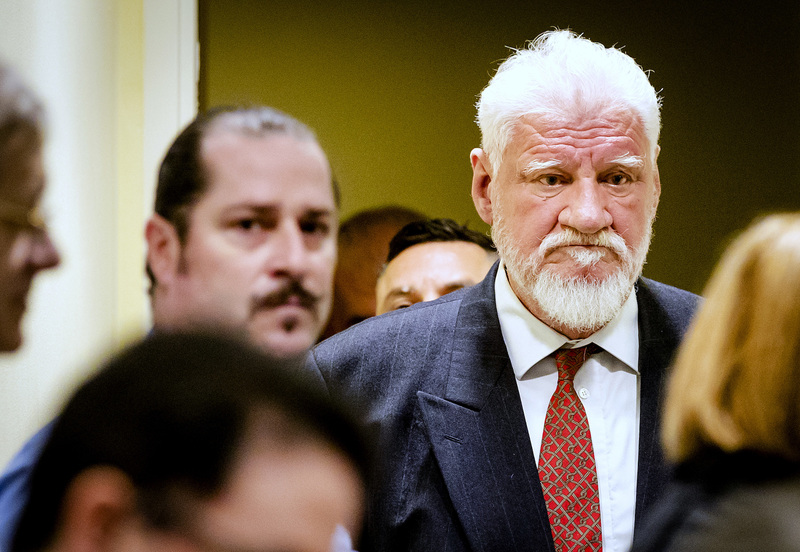 Judges had just upheld a 20-year jail term against former military commander Slobodan Praljak, when the 72-year-old drank from a small bottle seconds after his verdict was read. Amid chaotic and confusing scenes, the presiding judge suspended the hearing and summoned medical help. Croatian state television, citing sources close to Praljak, later reported that he had died in hospital, although the U.N. court has not confirmed this. Praljak, a former commander of the Bosnian Croat defense forces, was originally sentenced to 20 years in jail in 2013 for his role in a campaign to drive Muslims out of an intended Bosnian Croat state in 1993. The appeal led to the judges overturning some of Praljak’s convictions, but his sentence was not reduced. The verdict is the last to be delivered in the court, known as the International Criminal Tribunal for the former Yugoslavia, before it closes down when its mandate expires at the end of the year. The court, which has indicted 161 people since it was established by the U.N. in 1993, convicted former Bosnian Serb military chief General Ratko Mladic of genocide and other crimes last week. The tribunal has previously seen two other defendants commit suicide, one in 1998 and one in 2006, both by hanging themselves in their cells while awaiting trial. South Korea’s prime minister believes Bitcoin, the world’s most valuable cryptocurrency, could be used by kids to deal drugs. All these youths would need to indulge in such “social pathological phenomena” is $10,000 to buy the currency. “This can lead to serious distortion or social pathological phenomena, if left unaddressed,” he added, according to a translation by CNBC. The PM may have missed Bitcoin’s price in recent months, which is currently hitting record highs. On South Korea’s largest exchange Bithumb, the price passed the historic $10,000 mark Monday, though it has yet to break the barrier in other parts of the world. The high comes despite the South Korean government’s attempt to stifle the cryptocurrency craze. The country’s Financial Services Commission banned new initial coin offerings (ICOs), an instrument for raising millions of dollars in a short space of time, in September. Bitcoin rose to prominence on the dark web, where its anonymous nature made it an attractive payment method for drugs dealers and cybercriminals. In recent years it has sought to shed this image, with many investors now taking the cryptocurrency very seriously. 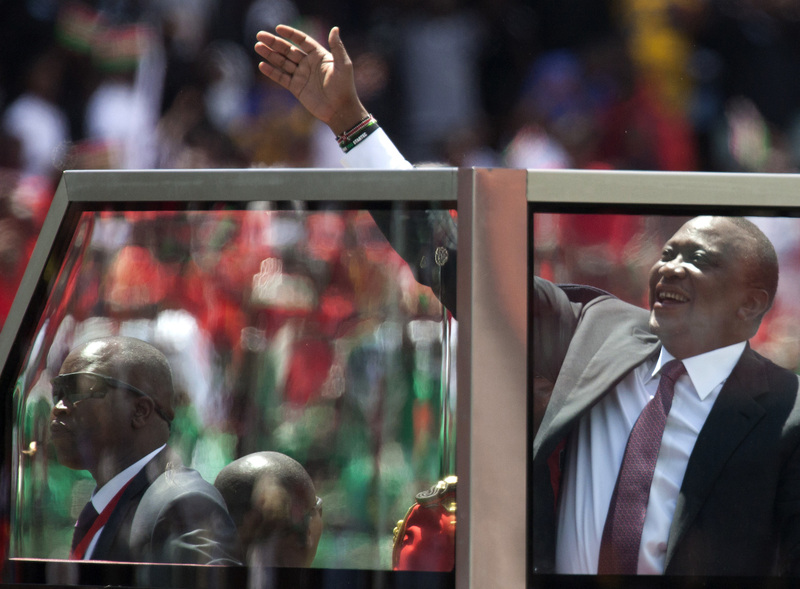 After two elections, 60 deaths and months of political turmoil, Uhuru Kenyatta was sworn in for a second term as Kenya’s president Tuesday, a move likely to spell many more months of upheaval and unrest. The ceremony was snubbed by the opposition, which believes Kenyatta’s re-election is illegitimate due to a disputed election process. Raila Odinga, the opposition’s presidential candidate, dismissed the inauguration as Kenyatta’s “coronation” and says he does not recognize the result. A do-over was held in October, but Odinga urged opposition supporters to boycott it given that no electoral reforms had been made since the first poll. As a result, Kenyatta won with a landslide 98 percent of the vote, cast by just 39 percent of the electorate. The Supreme Court ruled last week that the second vote met all the constitutional requirements, and the result stood. The opposition rejected that ruling, arguing it was made under duress, with many of its supporters refusing to surrender what they consider a stolen election. The electoral strife has left the country divided along ethnic and regional fault lines. Kenyatta, who first became president in 2013, is a member of the country’s largest ethnic group, the Kikuyu, while Odinga, a former prime minister who has been denied the presidency on four occasions, belongs to the Luo community. Many of his supporters come from poorer regions, and feel they have been excluded from growth in East Africa’s wealthiest country. The opposition had urged supporters to avoid the inauguration and instead attend a competing “memorial rally” Tuesday for “victims of police brutality and extrajudicial killings.” But crowds at that event were dispersed by police firing teargas, according to reports. A Vietnamese blogger who broadcast live footage of protests arising from one of the country’s worst-ever environmental disasters was jailed for seven years Monday at a secret trial with no lawyer present. Nguyen Van Hoa was found guilty of producing videos, photos and articles about a toxic waste spill from a steel mill built by Taiwan’s Formosa Plastics in April 2016. The disaster polluted more than 120 miles of coastline, sparking rare protests in the Communist Party-ruled state. 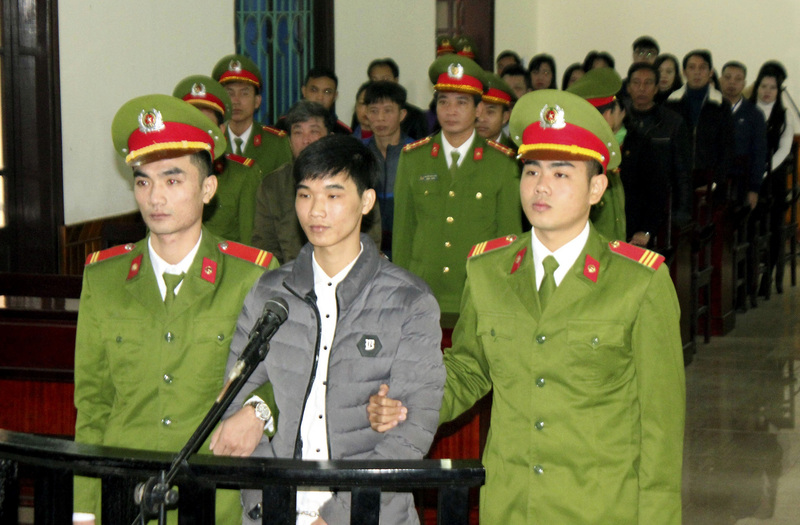 The People’s Court of Ha Tinh province found the 22-year-old guilty of “conducting propaganda against the state” during a two-and-a-half hour trial. The court ruled he be placed under house arrest for three years after completing his jail term. The trial, scheduled Tuesday, was unexpectedly expedited by authorities, who have been cracking down on dissent. Under police advise, Hoa waived his right to a lawyer and signed a confession live on state TV in April. Another critic of the steel mill spill, Nguyen Ngoc Nhu Quynh, known as “Me Nam” or Mother Mushroom, was given a 10-year jail term for publishing propaganda. Hoa was the first person to broadcast live footage of protests outside the company’s steel plant in Ha Tinh. The drone footage, which showed more than 10,000 peaceful protesters, went viral. Experts say the recovery from the Formosa industrial disaster could take a decade. Vietnam is ranked 175th out of 180 countries in the 2017 World Press Freedom Index. But the Kingdom’s blockade strategy reached a new level of devastation on Nov. 6, with an all-out embargo of food and medical assistance that’s made Yemen’s humanitarian crisis even worse. The Saudi-led coalition says it enforced the total blockade to limit the flow of weapons into the impoverished country after Yemen’s Houthi rebels launched a missile toward Riyadh. Over the weekend, Saudi-led forces cracked the door open, just slightly, allowing a plane to land with medical supplies and vaccines in Yemen’s capital, Sana’a, and two ships carrying food to dock at the coast, aid groups said Monday. Aid workers are hoping the weekend deliveries weren’t a one-off. Some 7 million Yemenis are completely dependent on humanitarian supplies for survival, and a child dies every 11 minutes from a preventable cause, according to the U.N. About 15 million people in Yemen lack basic healthcare and 900,000 people are believed to have caught cholera, according to the World Health Organization. “Yemen is one of the worst places on earth to be a child,” UNICEF’s Geert Cappelaere, regional director for the Middle East and North Africa, told reporters at a press conference in Amman on Sunday. The plane that landed Saturday carried 1.9 million doses of vaccines against diphtheria, whooping cough, tuberculosis, pneumonia, and meningitis. A U.N. ship arrived at the port of Salef Sunday with enough food to feed 1.8 million people in northern Yemen for a month, World Food Program country director Stephen Anderson told the BBC, after the ship was forced to “hover off the coast” for two weeks. Another commercial ship carrying 5,500 tons of wheat flour also docked at the Yemeni rebel-controlled port of Hudaydah. It remains unclear whether humanitarian assistance will be allowed to continue trickling in, or be shut off again. UNICEF, which organized the plane full of medical supplies, hasn’t yet heard whether more will be allowed. Correction: A previous version of this story incorrectly identified the location of Geert Cappelaere’s press conference on Sunday. It took place in Amman, Jordan, not Sana’a, Yemen. 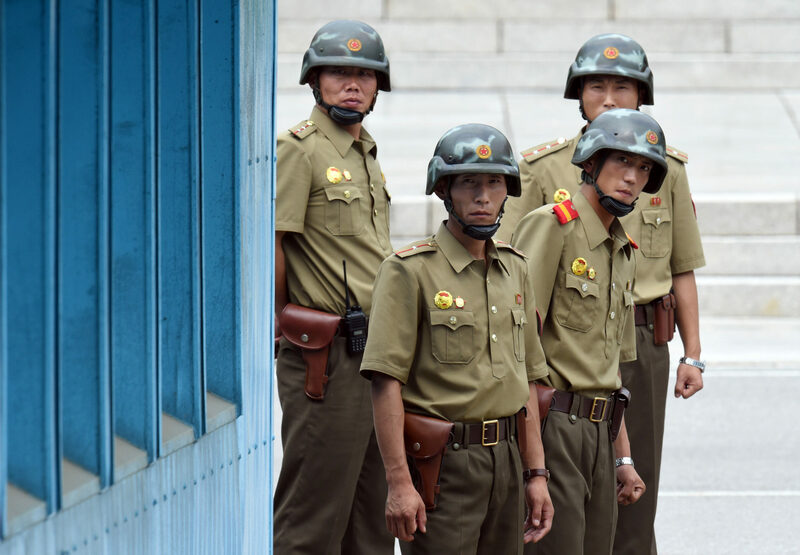 In a desperate attempt to kill one of their own soldiers, North Korea violated the 1953 armistice that has maintained peace on the Peninsula, South Korea warned Monday. Defense Minister Song Young-moo said that during the pursuit of the defector on Nov. 13, a North Korean border guard crossed the military demarcation line between the countries, North Korean soldiers had fired in the direction of South Korea, and North Korean soldiers had carried their rifles into the Joint Security Area – all of which constituted violations of the longstanding peace agreement. “North Korea should be informed this sort of thing should never occur again,” Song said during a visit to the border. He later commended his own troops for rescuing the enemy soldier, who was shot multiple times during a daring escape that was captured on video. The soldier – a 20-something staff sergeant with the surname Oh – was left in critical condition after he was shot in the buttocks, back, shoulder, armpit and knee, and has been recovering in a South Korean hospital. 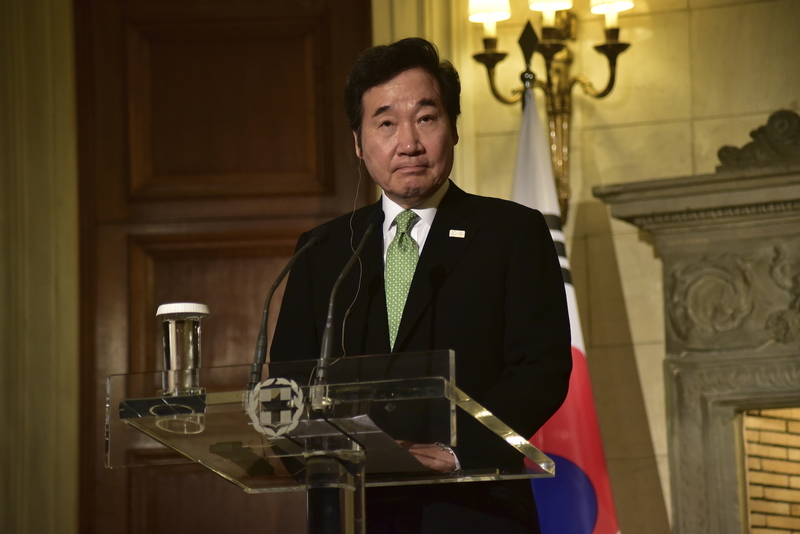 Three South Korean and three American soldiers were given awards last week for their role in his rescue. As Song spoke at the DMZ Monday, North Korean soldiers listened to his comments from across the border, Reuters reported. Seoul has been playing news of the soldier’s defection through loudspeakers aimed at the North, according to South Korea’s Yonhap news agency. 1953 — The year the DMZ was created by agreement between North Korea, China and the United Nations. 250 — The length in kilometers of the DMZ. 2016 — The year South Korea resumed broadcasting audio propaganda at the North, which both sides had ceased 12 years earlier. 4 — The number of tunnels discovered by South Korea that the North has dug beneath the DMZ. 2— The number of U.S. Army officers killed by North Korean soldiers when they cut down a tree in the Joint Security Area in 1976. The North Koreans claimed the tree had been planted by Kim Il-Sung. Airstrikes killed at least 53 Syrian civilians, including 21 children, Sunday after Russian bombers hit residential buildings, the Syrian Observatory for Human Rights said. Planes attacked the Islamic State-held village of Al-Shafah in Deir Ezzor province in the oil-rich east of the war-torn state. The U.K.-based monitoring service told AFP the death toll had risen from 34 after more bodies were discovered following an extensive rescue effort. Russia’s Defense Ministry released footage of the raids Monday, claiming six aircraft targeted terrorist locations in Deir Ezzor. Officials made no mention of civilian casualties. “All designated targets were hit,” the ministry said, adding that unmanned aerial vehicles recorded the results of the bombing. Russia has been a key ally to the beleaguered regime of President Bashar al Assad during the six-year civil war, which has left swathes of the country decimated. An eighth round of UN-brokered talks will begin in Geneva Tuesday, aiming to bring an end to the conflict — though Syrian media reported Monday government negotiators had delayed their departure.